Diwali is around the corner and I’ve been busy whipping up something special. 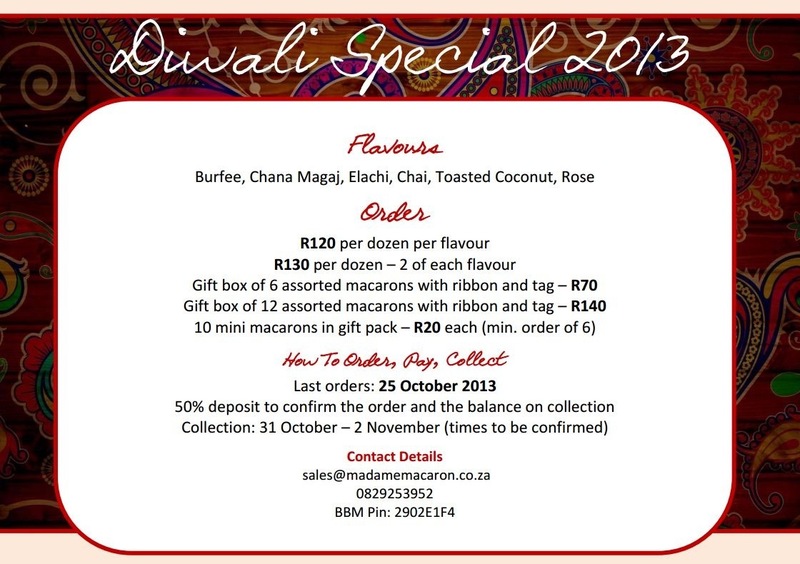 Orders can be sent to sales@madamemacaron.co.za as always. Delivery costs out of Durban can only be calculated once the order has been placed.